Medly takes a new approach to the way music is made, letting both seasoned and new musicians make epic music. Just pick your instruments and start drawing notes. Medly breaks up your song into Sections of 1, 2 or 4 bars. Sections are easily picked up, moved, deleted, copied and pasted. You can also create linked copies, effectively letting you quickly create loops. Medly works on iPhone, iPad, and iPad Pro, and supports Slide Over and Split View. Medly has full support for 3D Touch, from Quick Actions on the home screen, to Peek & Pop for our Albums and Songs, and using pressure sensitivity to change the volume of a Note as it’s drawn. Medly comes with 12 free instruments to start with, and 80 more across a variety of genres, available in the Medly store. Change the volume of each instrument and apply effects and filters to make your own unique sound. You can even change the volume of individual notes to give your song an extra kick. 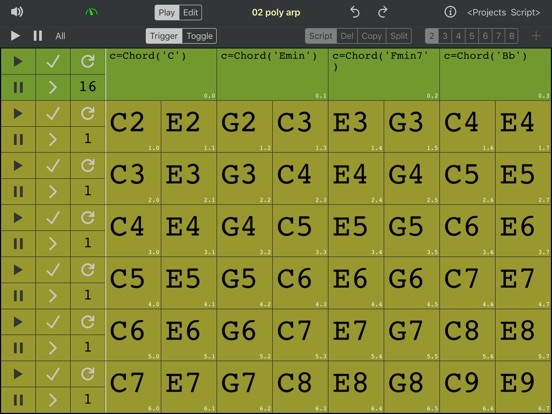 New 32nd notes in Medly lets you create even shorter notes and more precise beats. You can also quickly switch between our simple scale scale and chromatic scale. Alongside changing the volume of individual notes to either quiet, normal or loud. Make your music come to life by adding by automating the volume or effects over time. You can share your music as an audio file, or send your friends a Medly file that they can edit. You can even share an entire album at once. If like me, you’re no programmer, this one does look a bit daunting! But it might be just the reason you need to get some scripting experience under your belt! 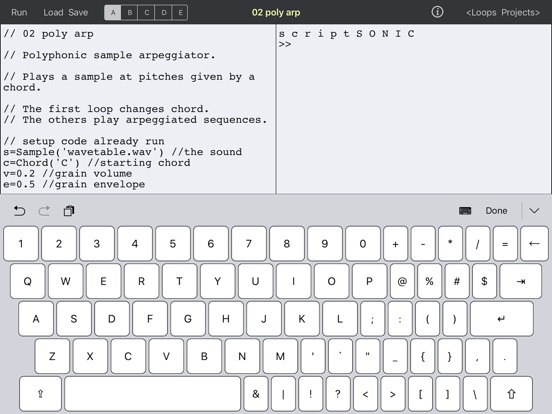 scriptSONIC combines the open-ended creative power of a programming language with the expressiveness of a touch-screen. 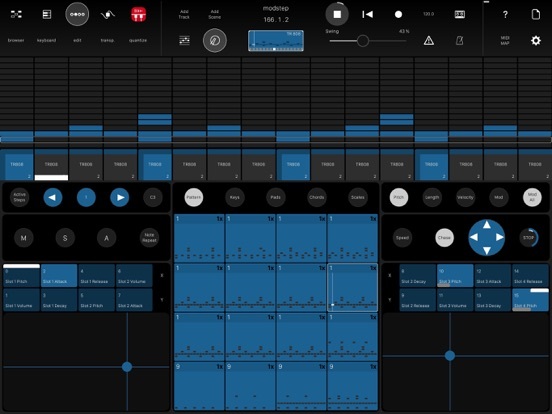 Blocs Wave is a music creation app designed to inspire new musical ideas. Easily combine original professional sounds across a wide array of genres. Tweak your sounds using beautiful touchable waveforms, and make your ideas even more unique. Record your vocals and instruments, and bring your ideas to life within minutes. Get it now at a special introductory price! 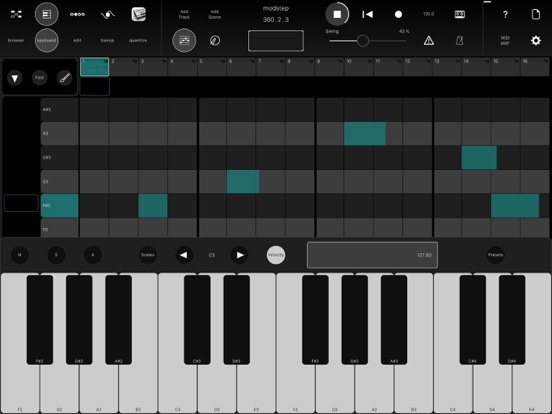 • Start new music – Quickly tap sounds to combine and make new original musical ideas. 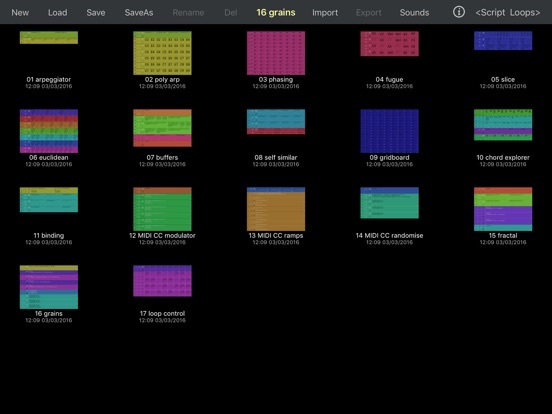 • Make every sound unique – Tweak sounds using beautiful touchable waveforms. • Record new sounds – Effortlessly capture your own sounds, vocals and instruments. • Explore and combine your sounds from a huge library – Explore amazing sounds across genres from EDM to dubstep, indie to songwriting and tons more. • Real-time stretch – Change bpm while playing, and blocs will adapt. • Export & Import – Bring in your own sounds from other apps, or export to them. • Key aware – All library sounds are ‘key aware’ and can stay in-key. 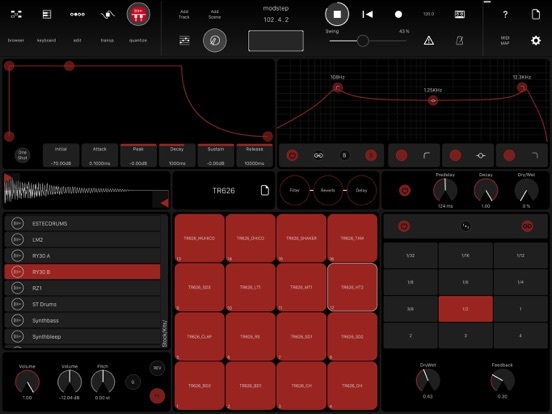 • Works well with others – Audiobus, AudioCopy, AudioShare, and hardware input and outputs supported. Developer: Focusrite Audio Engineering Ltd.
Boulanger Labs presents csJam – a fun and creative music making app for children and music lovers of all ages. 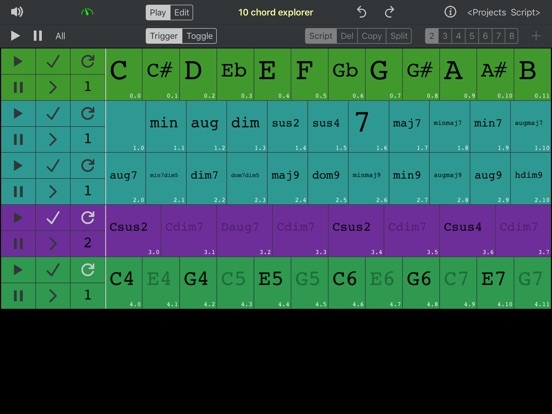 In csJam, the user can improvise, perform and compose with a variety of synthetic and sampled instruments. The warm and beautiful sounds of csJam are rendered in real-time using one of the world’s most powerful synthesis and signal processing programs—Csound. For improvising and performing, csJam offers the user two sets of live instruments—four melodic and four rhythmic. These can be played along with an accompaniment composed by the computer or music composed by the player. Enjoy making, playing, sequencing, recording, saving, and sharing your music. Let csJam bring out the composer in you. 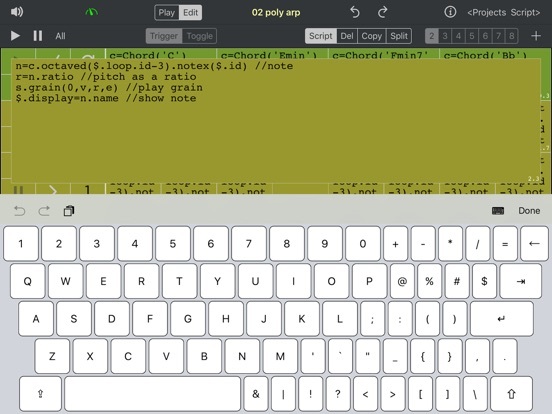 The world’s best software arpeggiator is now available as an iPad application. Mobile version also has only one arpeggiator track by default. If needed, the rest three tracks can be purchased separately with in-app-purchase option. 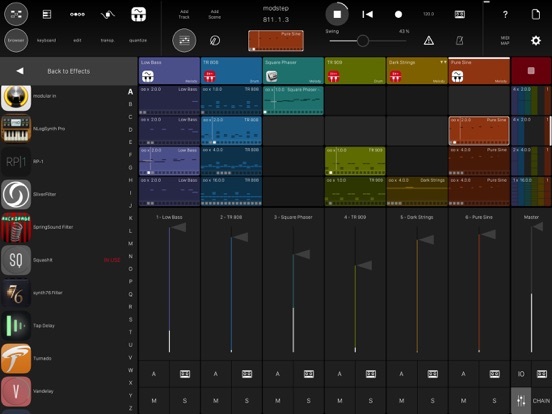 Auxy brings real music creation to iPhone in a simple and inspiring format. By removing unnecessary distractions it lets you focus on your musical ideas and be more creative. 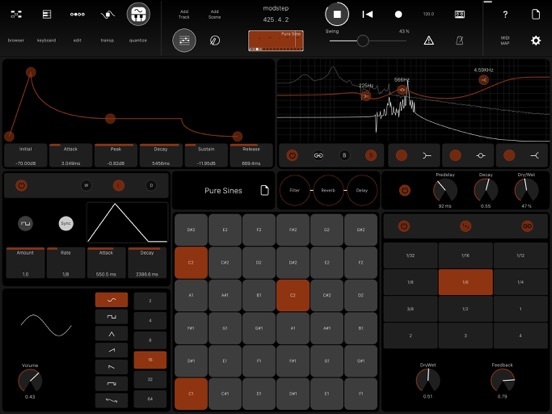 Create drum beats and synth melodies by drawing notes on the grid. Find the perfect sounds for your tracks and tweak the effects in realtime to get the right vibe. Record your performances to capture tracks. Upload and share your tracks or export them as high quality audio files. Projects can be exported as MIDI files and opened in apps like Logic or Ableton Live. Behind the minimalist interface runs a powerful sound engine with state-of-the-art effects by Sonic Charge and FXpansion. The sounds are designed by producer 7 Skies and routed through a series of carefully tuned master effects to make your music sound fantastic. If you have an iPhone that supports 3D Touch, you can jump straight into editing by pressing loops, or start a new project by pressing the app icon. We’re a small team in Stockholm, Sweden, dedicated to building the best instruments for mobile creators. Connect on social media and send your love and feedback. You can also reach us via feedback@auxy.co. Rytmik is a powerful pocket music station allowing you not only to play with samples and musical instruments but also to mix them together, shape them and create music clips or tracks for your Friday night set-list. And that’s not all! Every instrument is now a wavetable synthesizer. With the advanced effect module, you have more power to shape sounds with the ADSR envelope, vibrato, portamento, noise shaper, or digital delay. In addition to that, the drawable waveform synth module allows users to draw and modify their own wave and use it as a sample oscillator – with that you can use Rytmik Ultimate as a sonically unique chiptune synthesizer.